Not only is collagen believed to improve the appearance of the skin, nails and hair it also helps to increase mobility and reduce pain. Collagen protein is the cement that holds everything together. Collagen helps to give strength to various structures of the body and also protects structures like the skin by preventing absorption and spreading of pathogenic substances, environmental toxins, micro - organisms and cancerous cells. This Valentine's Day treat yourself to a chocolate that is good for you! 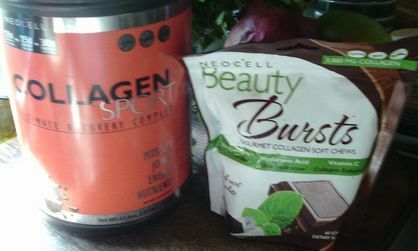 Enjoy the delicious flavor of Neocell's Collagen Sport's Belgian Chocolate and Beauty Burst's Chocolate Mint. Find out what I thought of these two products! Are you ready to get healthier hair, nails, skin, and joints while enjoying your chocolate with these two Neocell products? Would you like a chance to try both of these for FREE? If you said YES to both questions! You're in luck! 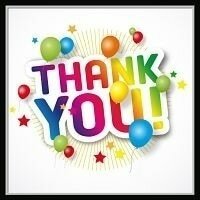 Thanks to this awesome sponsor THREE lucky readers are going to get the opportunity to do just that! Enter on the widget below for your chance to win. Remember the more entries you do the better your chances are! Can't Wait? Want your Chocolate NOW!!! Collagen Sport and Beauty Burst. This sounds like a delicious choice. MarksvilleandMe would like to wish all those who enter Good Luck!